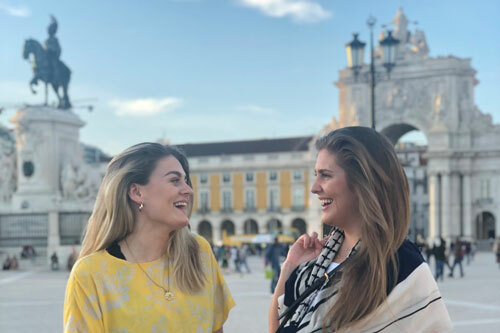 For the first time in the history of the MSc in Management degree more than 100 Cass Business School students travelled to three European cities as part of an optional study tour. The main aim of the tours is to provide students with an educational adventure that is perfectly aligned with their course and modules. And unlike international electives, these non-credited tours are about learning through unexpected discoveries and building networks with fellow students. In the Portuguese capital, Lisbon, students enjoyed visits to the headquarters of some of the country’s biggest companies, including the Banco Comercial Portuguêse owned Millennium Bank; one of the country’s largest retailers, Pingo Doce; and the country’s oldest table wine producer, José Maria da Fonseca. MSc in Management student Alessandro Cè said he was impressed by the perseverance and tenacity of the Portuguese people in the face of the continued financial crisis affecting the country. “The commitment demonstrated by young entrepreneurs and managers, that were not only determined to bring their company to success but also to rebuild an entire nation, was inspiring,” Mr Cè said. “Getting the chance to meet and speak directly with representatives of both new and established companies was extremely beneficial, because the experience gave me further motivation and strength to pursue my future ambitions. 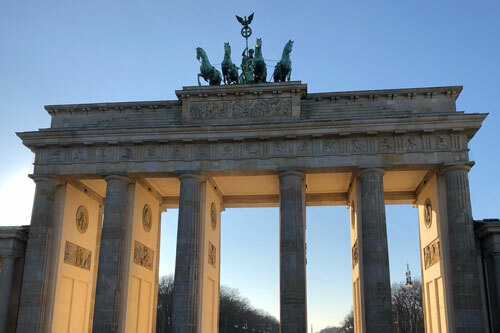 During their time in Berlin students toured the BMW factory, learning about Germany’s automobile sector, and visited start-up businesses in the heart of the city. 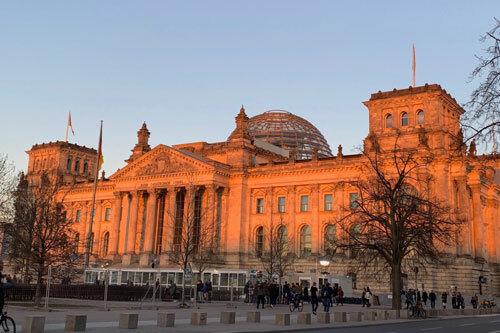 Bianca Gabellini said the Berlin study tour gave her a professional perspective on the city — something she may never have experienced on her own. “We met inspirational entrepreneurs who made us see the city through their own eyes,” Ms Gabellini said. Ms Gabellini said the trip had made her think seriously about starting her own business in the future, something she had not considered before. “Before this trip owning my own business seemed a world so far away that it was hard to imagine what it would really mean,” she said. “By meeting these professionals who so openly talked about the failures and the challenges they had to face to get where they are now, I think I have now a realistic overview of what gets someone to be an entrepreneur — a mix of passion and resilience. Fellow student, Deept Agarwal said he too was inspired by the Berlin Study trip. "We were able to engage with mesmerising start-ups like ’Silicon Alley' and 'Architrave' which motivated us to think about so many aspects when it comes to starting your own business," he said. "I was completely unaware about the challenges faced in startups, but listening to the insights shared by the CEOs from their personal experiences provided some crucial learnings." 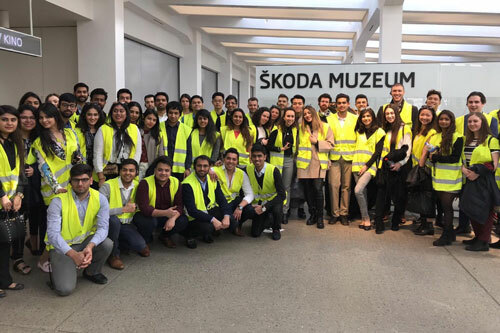 In the Czech Republic capital, Prague, students visited the Skoda factory as well as one of the country’s many beer producers. They explored the issue of renewable energy while visiting the Štěchovice Hydroelectric Power Station. In Prague, Jean Amine said as well as learning a lot about the Czech culture, she learned about the importance of international relations for businesses. “My “take home” message is that the Czech Republic is determined to grow in terms of international relations and business, and even though it is a relatively small country it has a large economic potential,” Ms Amine said. Course director, Dr Joanna Zaleska said the elective study tours are not just about students playing tourist in some of Europe’s oldest and culturally significant cities. “We invest in variety of experiences and high-quality encounters with businesses as well as cultural and historical experiences,” Dr Zaleska said. “Students learn in a multitude of different ways – traditional classroom learning may not always be best for their individual development.